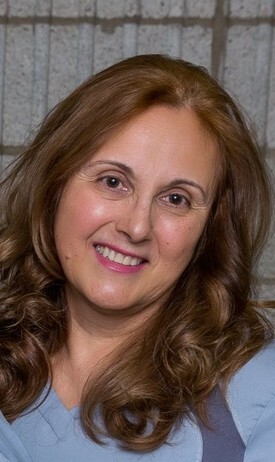 Dr.Soheila Haji-Kermani has more than 30 years of experience working as a dentist in all aspects of Dentistry. She has tremendous experience in Restorative, Extractions, and gum surgery, Root Canal Therapy, Crowns, Bridges, Fixed and Removable Dentures and Implant Surgery. 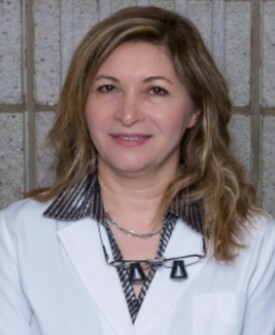 She had received her first Doctoral of Dental Surgeon (DDS) from the University of Mashhad In Iran in 1988, followed by the Canadian General Dentist Certificate in 1998. Furthermore, she received her Master's of Prosthodontics specialty degree from the University of Toronto in 2007. The scope of Prosthodontics includes complex implant treatment plans, surgery and prosthetic treatments. Dr. Haji-Kermani has also been certified in implant, cosmetic and surgery dentistry from the International Implant Institute held by Dr. Misch in 2012. She continues her education through many specialty courses, various seminars, study clubs and online courses. Dr. Haji-Kermani is a member of the Association of Prosthodontists of Canada, International Congress of Oral lmplantologists, Royal College of Dental Surgeons of Ontario and the Ontario Dental Association. 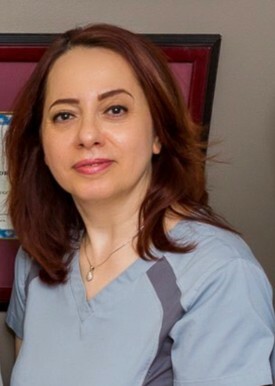 Due to the aforementioned education and experience, Dr. Soheila Haji-Kermani is currently practicing dentistry in her own private practices in Toronto and Thornhill since 1998. She has part time experience in teaching at U of T University. Her accomplishments are the result of her hard-work, persistence, self-motivation, and of course, passion for her profession. Dr. Kasra Badii had graduated from ShahidBeheshti University of Medical Sciences Faculty of Dentistry in 1996 .Since then, he has been running his own office in Tehran, Iran. He has more than 20 years of experience in different aspects of Dental Care exclusively Cosmetics, Surgeries, and Root Canal Treatment. He has passed the NDEB equivalency program in 2016 and has got the best result on skill exam over Canada. 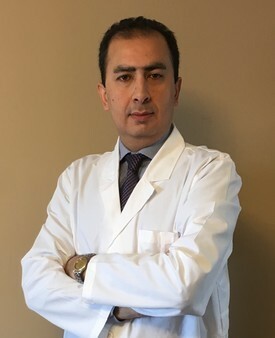 Dr Kasra. Badii licensed to work as a dentist in Ontario on September 2016.Since that time, he has joined our team and the patients and our staff are very happy working with him. 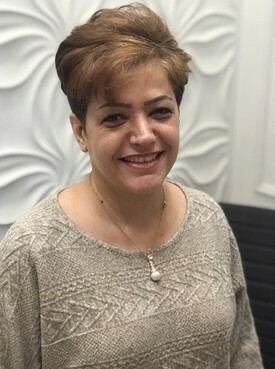 Mehry graduated from the CDI College in Dental Office and Chair side Assistant in 2004, and then immediately started working in another dental office. Fortunate for us, she joined our dental practice in 2005. Mehry is passionate about her job, as she continually seeks to gain more knowledge and be more helpful to each of her colleagues. Of course, she is a huge help to the dentist, but she also lends a hand to the receptionist at the front desk. Having worked at this dental office for more than 9 years, her colleagues and the patients have become a second family to Mehry, and so she comes into work every day excited and ready to work hard. Mariana has a background in computer sciences, and 20 years of experience in the dental field as a consultant, receptionist and office manager. Mariana joined our team in 2001 as the Office Administrator. But she is also experienced and certified as a front desk receptionist. Specifically, Mariana has a George Brown College Dental certificate, and a diploma in Dental Office Management from the University of Toronto, where she graduated with very high distinction. Furthermore, Mariana has extensive knowledge of the dental instruments since she has been working as the Import/Export manager of Blue and Green Incorporation, a dental instruments corporation. Overall, Mariana is diligent, knowledgeable, friendly, and passionate about her job, and all these traits come together to mark her as a strong asset to our dental practice. 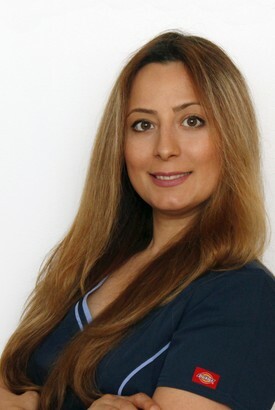 Manijeh comes from a medical office administration field. She has graduated from Evergreen College in 2007. She joined recently our team, looking to expand her knowledge in dental administration. She has excellent computer and organizational skills. She is punctual and friendly toward staff and patients alike. She enjoys meeting new people and she is eager to learn. Graduated from the A plus Institute dental hygiene program college in 2015. Has a bachelor of visual arts, painting degree. Prior to working as a dental assistant and hygiene, was a painting educator. Became very passionate about caring for her patients and eventually transitioned to dental assisting. Enjoys listening, educating and serving her patients and find their trust to be a very rewarding part of her day. Enjoying travelling, drawing and swimming. I graduated from Oxford College Dental Hygiene in early 2018, and joined the team in May 2018. I like meeting new people and expand my connection with my patients. Providing best service with health and comfort for my patients is my priority and I make sure they receive best oral care and help them with their smile. On my spare time, I like going out with my family and friends and meet new people. Also, I enjoy reading and expanding my knowledge on different subjects.